Miss Print: Welded + a Giveaway! Hey y'all! How's everyone doing? Have you guys heard about the great collaboration between Art Gallery Fabrics and Fat Quarter Shop called AGF Stitched with Kimberly? This awesome little collaboration showcases fresh quilt designs from the AGF team and presented (for free) by FQS. Each pattern is also available as a video tutorial on the FQS YouTube. That's pretty cool in my book! Unfortunately my fabric did not arrive in time for me to actually begin work on my quilt top, but at least I can share the fun fabrics I picked out! All of these fabrics were generously supplied by Art Gallery and I can't wait to use them! It's really hard to see in the pics, but the top splatter-y looking fabric is actually metallic... be still my fabric-loving heart! The fabrics come from a few of their newer collections including Imprint and Succulence, among others (and, in case you're wondering, the awesome metallic is from Succulence). I chose the text print (from Happy Home) for the backing and I just love it so much! It reminds me of everyone's favourite Ikea text print, but soooo much better! 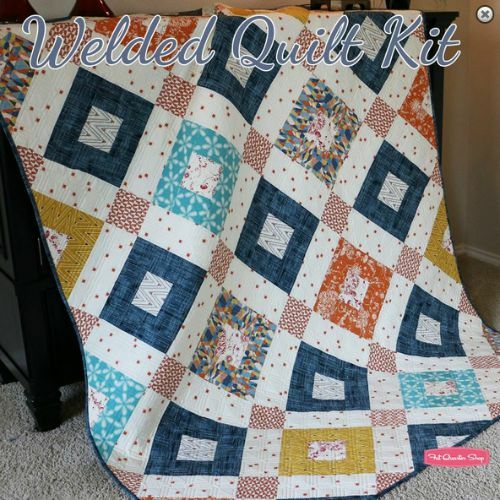 Both a quilt kit and a backing set using fabrics from the Artisan are available from FQS to go along with the Welded pattern. The free PDF pattern is available right here and the tutorial is available on FQS' YouTube! Go forth and make all the quilts!! Now, to make up for my inability to review the pattern and my lack of a finished quilt to share, I thought we'd do a giveaway. Because, you know, everyone loves a good giveaway! 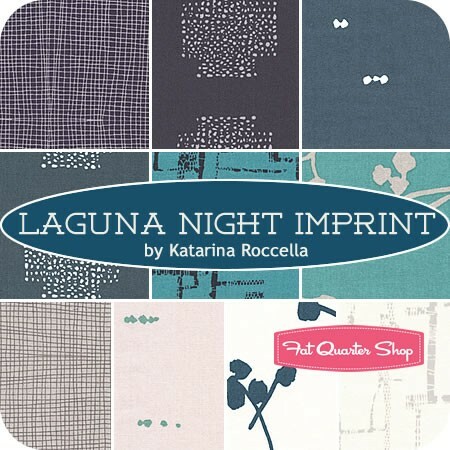 Because I'm really feeling this right now, I am giving away a fat quarter bundle in the laguna night colourway from Katarina Roccella's Imprint collection for AGF. Isn't is lovely?! 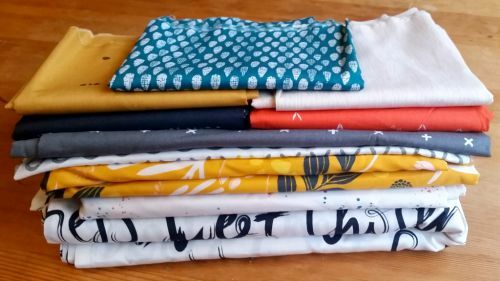 AGF fat quarter bundle is from FQS. That's it! Two easy-peasy ways to enter! I will close the comments in a week (October 1st) and announce the winner here on the blog. International entries are, as always, welcome! Also, please remember that I have comment moderation enabled so if you don't see your comment right away it just means that I haven't had the chance to approve it yet (duplicate comments will be deleted). Kaye of Miss Print - You are here, hah! I love Moonflower Lady Anna Elise! HAPPY TO FOLLOW ON BLOG LOVIN;! HI, "Tokyo Solid Fat Quarter Bundle" is my Favorite! Thank You for your blog+giveaway! I love way toooo many. I am really loving Maureen Cracknell's fabrics right now, but there are so many other great ones too. Midnight outburst is my fave. Thanks for the chance! I'm really liking Fire Wanderer Fat Quarter Bundle by April Rhodes. I love midnight beauty! thank you! Midnight Beauty is gorgeous :) And I'm going to check out that backing fabric too - OMG!! LOVE!! Fun, Happy Home is my favorite but they are all gorgeous! So hard to choose. Prisma Elements is my favorite. Thanks. I like the Midnight Outburst collection. Love the quilt thank you for the pattern, and the inspiration. I am a new e-mail follower. Thanks! I love their Ambrosial and Crepuscular Fantasia lines! I follow on Bloglovin'. Great quilt! My favorite AGF Bundle would be the Moonflower lady anna elise by bari J! My favourite bundle is Holly Breeze Morning Walk. It would be great with this pattern. Thanks for the give away. In fact this colour way in Imprint is my favourite. I love Mincing Memoir Millie Fleur. So many nice collections. thanks for the giveaway. I love the Midnight Outburst bundle! I like Soft Serve Sound Playing Pop Fat Quarter Bundle. Lots of others too! Your fabrics look cool, I love the horseshoes! My favourite bundle is the Ambrosial Fantasia by Sara Lawson, I think it would be great for a Welded quilt! I love your blog - am definitely becoming a new follower! I look forward to what you share next. I love the nightfall Gramercy, as well as the giveaway bundle. These dark palettes are really eye catching. I am in love with Sweet As Honey by Bonnie Christine right now! I love your quilt fabrics!!!!!! It's incredibly hard to choose. If I had to choose it would be Bari J. Anna Elise. Beautiful. Thank you for the opportunity. Too many gorgeous bundles. I still love the hello bear bundles. I follow you on bloglovin. Thanks for a great giveaway. I'd love to see quilt when it's finished with your fabric choices. Blissful Melody bundle by Pat Bravo would be the top of my list. Have loved seeing how the fat quarters have looked with this quilt pattern. Everyone's quilt looks great. Maureen Cracknell for Art Gallery Fabrics. Really like so many but I'd go with Maureen Cracknells. Thanks. Oh that's too bad about your fabric. I do like that line Happy Home and especially the text print. My favorite bundle is the Tokyo solids. I've never made an all solid quilt but it would be fun! Hard to decide, but i will say Land Skopelos by Katerina Roccella. I follow you using an Rss readrr via feedly. The Succulent bundle is my favorite. I really like Sweet as Honey but there are so many great ones. It's the way the fabric feels that is the best. I have been in love with Nouvelle since it was released and Arizona by April Rhodes and Gossamer. I don't think there are many AGF that I don't like. Ooh, such a hard choice (and such a dangerous selection - from a wallet point of view! - to look at!). For me, I think, midnight outburst, but if I was sewing for my children, hello stone - love those bears! my favorite is Moonflower Lady Anna Elise = so pretty! I like the firelight beauty fat quarter bundle. II follow you on Bloglovin. Too many choices! HA-HA ! But probably the pure colors - thanks. I'm following you via email - thanks. I like Prisma Elements Fat Quarter Bundle. I follow the blog with email. It's beautiful.If I have to choose only One would be Midnight outburst. Of course I do follow your blog vía email.! i follow your blog with blog lovin'. i love the happy home bundle. thanks for the giveaway. I like Sweet Finds Curiosities by Jeni Baker. I like the Midnight Outburst FQB. Thanks! Holly Breeze Morning Walk is my favorite bundle. I really like the Moonflower Lady Anna Elise Fat Quarter Bundle Bari J for Art Gallery Fabrics. Following you on bloglovin: Nicole Sender. The From Dawn Maker bundle is my favourite. 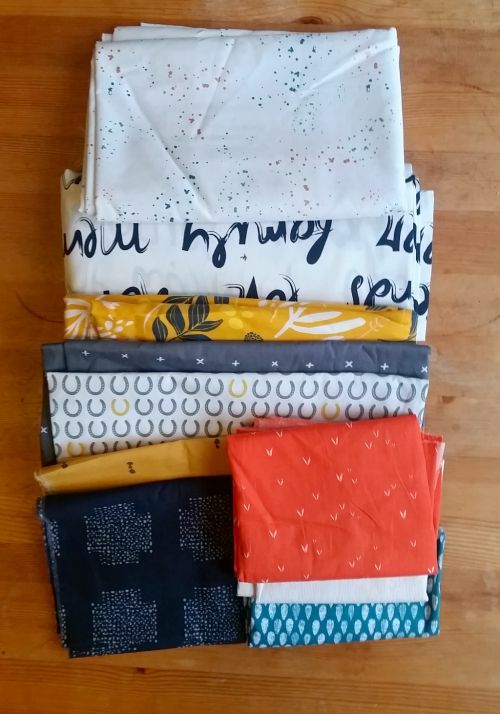 Loving Tokyo solid fat quarter bundle - those colours are gorgeous!!! I follow you via Bloglovin and Instagram! It's hard to choose but I especially like the giveaway bundle, Laguna Night Imprint. I'm following you on Bloglovin'. I follow your blog :) Thanks for the chance to win! Love the Autumn totems bundle! Anything Pat Bravo , especially Etno and April Rhodes (Bound and Arizona) ! Actually all of AGF has thee designers whom know how to target my tastes. There are sooo many to choose! Too many in fact. I love Sea Skopelos, or Crepuscular Fantasia but I also LOVE Wood Artisan or Dainty Folk by Pat Bravo! See what I mean? I follow you on bloglovin now; nice to start to get to know another Canuck quilter! Thanks for the lovely giveaway and for your inspiring blog! Priory Square is my current favorite in the AGF collection. I follow you via Bloglovin. Thanks again! There is so much to love about Art Gallery Fabrics. I mean what's NOT to love? How can one choose just one bundle to love. Won't the other fabric bundles feel slighted? I just love that purple and teal print in the Moonflower Lady Elise bundle. I truly need it with me! I love Succulence. Your choices are great. The succulence bundle is beautiful. Midnight Outburst is my favorite, but the Laguna Night Imprint is wonderful also. I'm following you via email. Thanks for the chance to win. I like Fresh Encounters Curiosities fat quater bundle. Autumn Totems bundle is my favorite - love the oranges. Thanks for the chance! I follow on bloglovin'. Thanks for another chance. 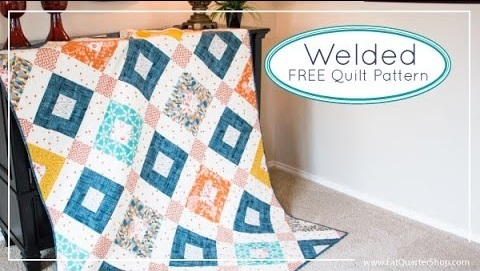 love the fabrics you are going to use for this quilt! I really love From Dawn Maker. I love pretty much anything by katarina roachella! I'm a little taken with wild and free at the moment or utopia. Thanks for the giveaway. I really like the Wanderer line. But, I really like them all...so hard to choose! Thanks for sharing. Have fun getting yours done. I follow your blog when going through my list of favorites! Love the basics, so I'd have to go for the Prisma Elements. I am a new follower of your blog via email (yay!) -- happy to have found your little corner of cyberspace. Thanks for the inspiration!